The contract on the account begins June 1. 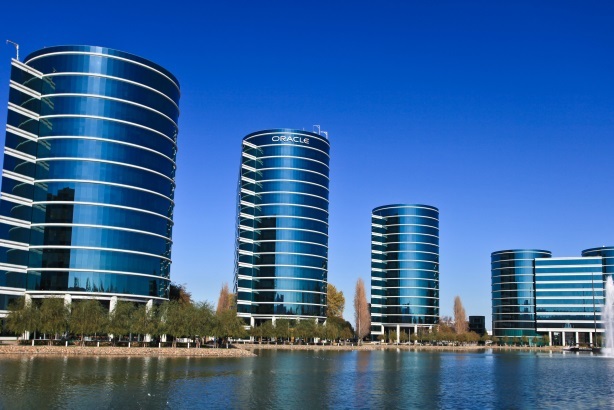 REDWOOD CITY, CA: Enterprise software company Oracle has hired a WPP Group team, led by Burson-Marsteller, to handle global products and services communications, effective June 1. The company brought on WPP Team Oracle following a competitive review, which included three firms in the final round, said Bob Evans, SVP and CCO at Oracle. He added that the account is "a multimillion-dollar deal." Evans, who became the tech giant’s first comms chief two years ago, said every agency in the RFP gave impressive presentations, but "WPP overall and Burson-Marsteller really stepped up, even beyond the very good things the other [firms] came up with." Hill+Knowlton Strategies subsidiary Blanc & Otus was the incumbent on the account since 2007. Evans said the contract with Blanc & Otus will wind down at the end of May. Representatives from the firm were not available for comment. The other agencies that will be part of WPP Team Oracle were not disclosed. Evans said Oracle was also attracted to WPP and Burson’s global reach, expertise in the tech and enterprise spaces, data-driven tools and analytics offerings, and energy and passion for the business. "We have a very interesting and important mission to help Oracle achieve their objective to be number one in the cloud category and build on the success that Oracle has had with its database and enterprise software application business," explained Rowan Benecke, Burson’s global technology practice chair, who is leading the account and WPP Team Oracle. The team will handle communications for Oracle’s products and services group, added Benecke, which will focus on telling the company’s technology story through integrated programs, media relations, and analyst relations. He said the team will also do some work with Oracle’s social media and digital teams. Evans said WPP Team Oracle and Burson will play a key role in helping the brand consistently tell its story to different audiences, such as deeply technical executives and marketing and finance specialists, as well as across sectors, including retail, public sector, healthcare, and financial services. "We’re trying to ensure that on a global basis we’re able to project the image of who Oracle is and what we can do for businesses all over the world that are undergoing enormous changes," said Evans. In addition to ramping up PR efforts externally with the WPP Team Oracle appointment, Evans said the brand is looking to bring on more staffers for its internal corporate comms team, specifically in the products and services sector. Oracle’s revenue in the fiscal third quarter of 2015 was flat, year over year, coming in at $9.3 billion. The company’s cloud services group saw a 30% revenue jump in the period, but it’s software licenses business slumped 7%, compared to the same quarter in 2014. During a press conference at the end of April, Oracle co-CEOs Mark Hurd and Safra Catz said the company plans on leveraging its cloud computing platforms to beat its competitors, such as Salesforce, in the enterprise app space. This story was updated on May 5 to correct Oracle’s third-quarter financial numbers. Its revenue was flat year-over-year in the quarter at $9.3 billion.